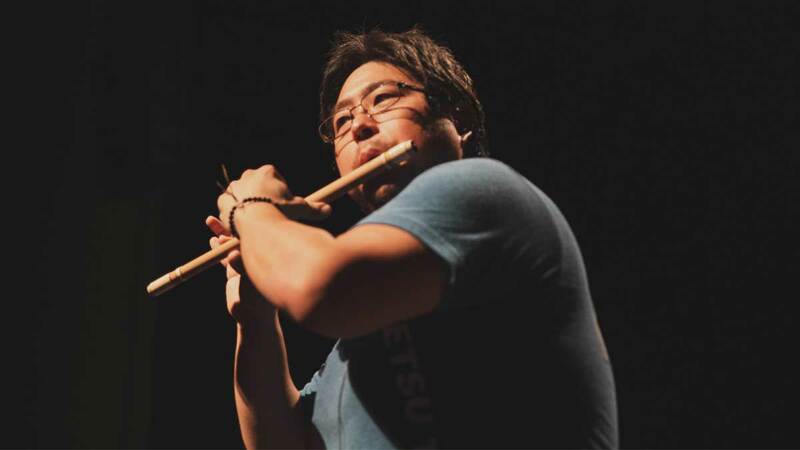 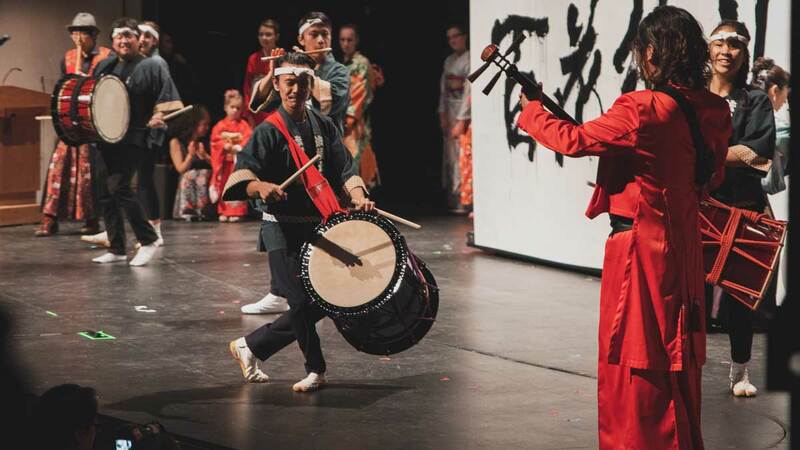 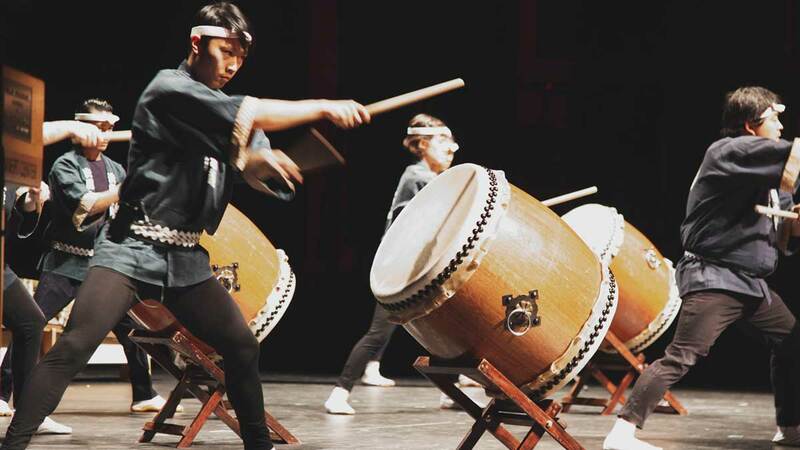 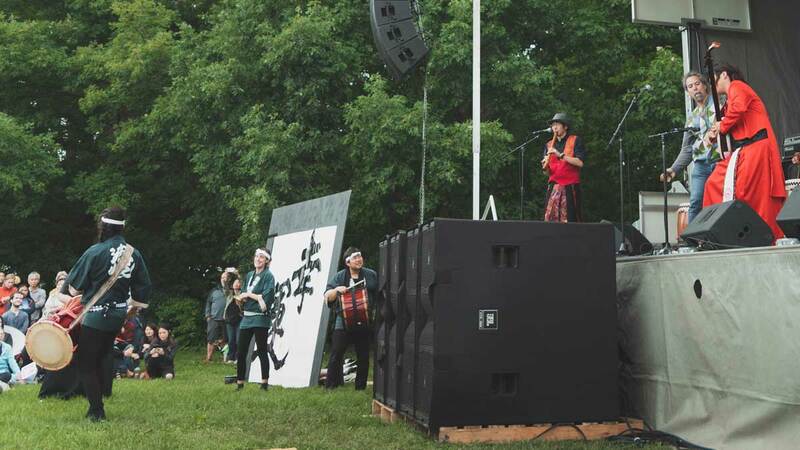 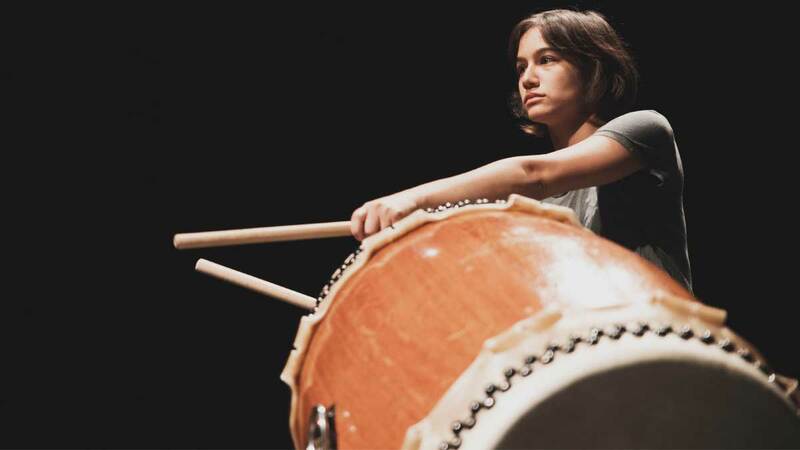 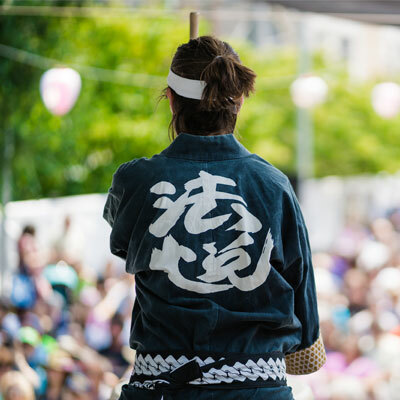 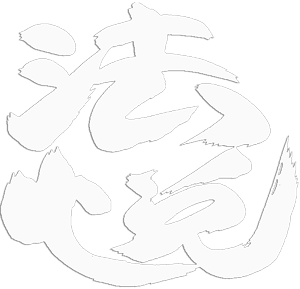 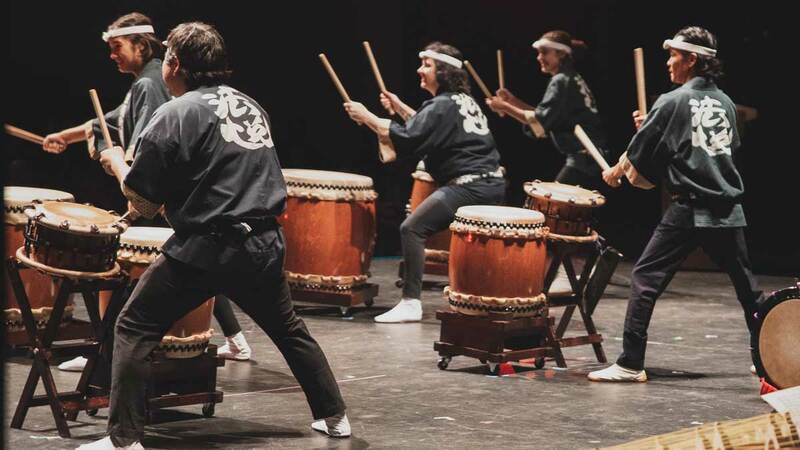 For the past several years Ho Etsu has participated in the Japan House Matsuri Festival on the campus of the University of Illinois Champaign-Urbana. 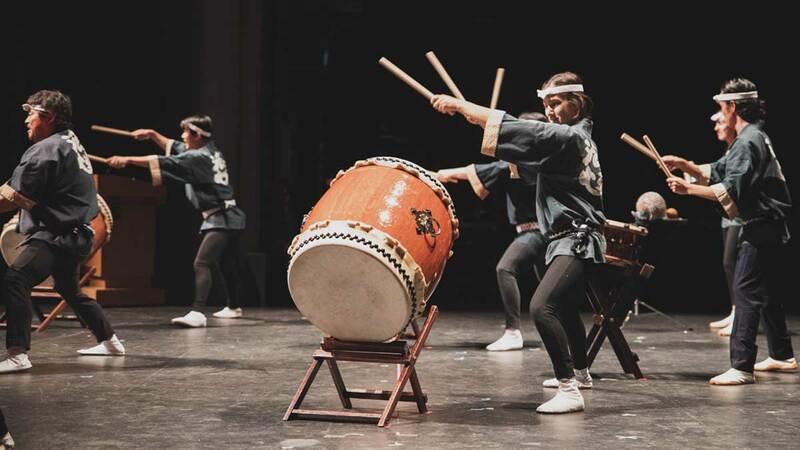 The festival shares Japanese food, entertainment and culture with university students and guests. 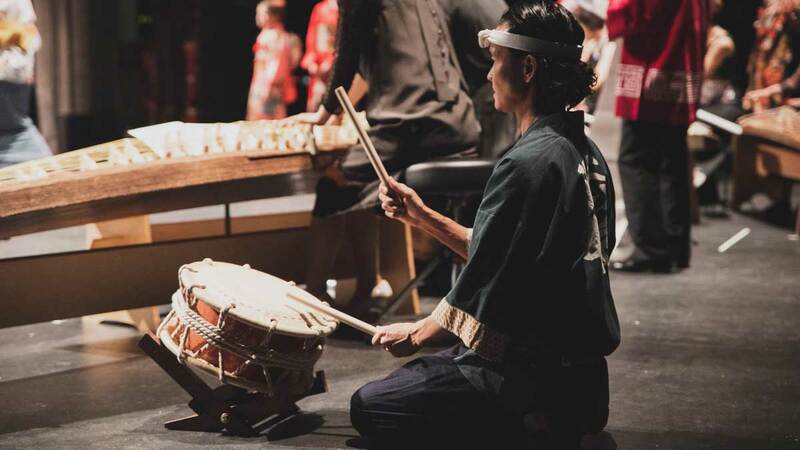 This year in addition to the Matsuri Festival, Japan House celebrated their 20th anniversary with a special ceremony and concert. 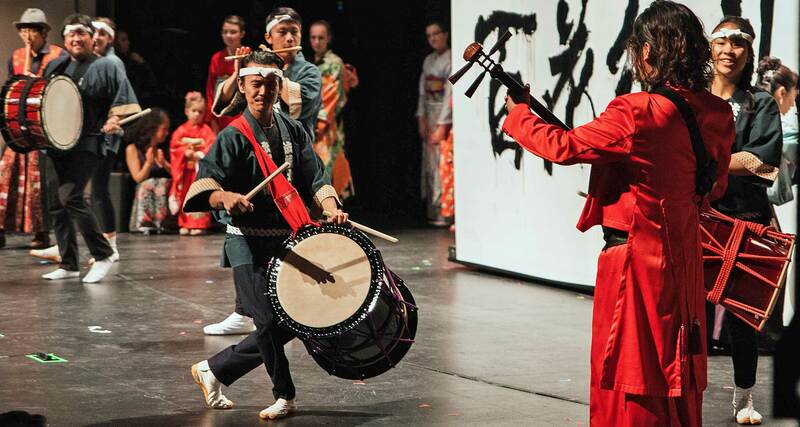 The concert featured Japanese musicians and performers, including members of the Toho Gakuen College of Drama and Music in Japan specializing in traditional koto and shamisen playing; Michiyoshi Sato, a prominent Japanese player of the tsugaru jamisen; and calligraphy artist Seiran Chiba. 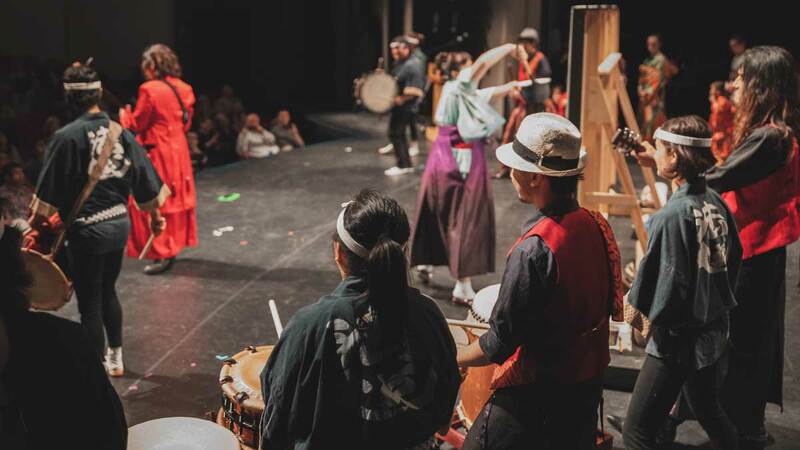 It was Ho Etsu’s honor to collaborate and share the stage with these amazing artists! 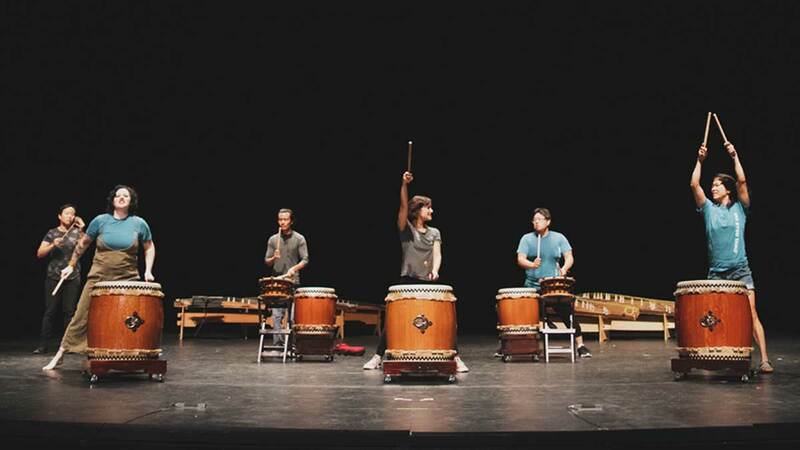 Many thanks to Jarvis Kim for these rehearsal and performance photographs.